1995-1997 MLS, School of Information Studies, Syracuse University. 1981-1985 BA, The Johns Hopkins University, German literature major. 1988: Mellon Internship in rare book conservation at the Folger Shakespeare Library. 1981: DAAD (German Academic Exchange Service) Fellowship for German Area Studies. Biography listed in Marquis' Who's Who in America, 2007 - 2017. Biography listed in Marquis' Who's Who in the World, 2008 - 2017. Lifetime Achievement Award, 2016: The Guild of Book Workers' Lifetime Achievement Award is presented to individuals regardless of membership for service to the profession of the book arts. Laura Young Award, 2009: The Laura Young Award recognizes members who have made an outstanding contribution of service to the Guild of Book Workers. Harmatan Leather Award for Forwarding in the "Cased Binding" category with Saturday Night,1953 / The Elements. 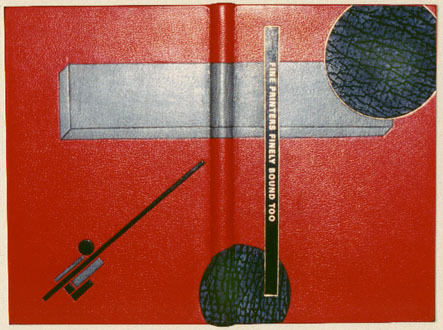 Society of Bookbinders' Bookbinding Competition, 2003. Professional Associate, American Institute of Conservation, 2002-2016. Delta Phi Alpha German Honor Society, 1981. German, speak, read and write fluently. 2013 - : Research and Emerging Issues Analyst, Program Management Center, Syracuse University Libraries. This position assists the Library in identifying, processing, analyzing, interpreting and maintaining the information it needs to help provide a better place and services for patrons. This includes institutional reporting to ARL, ACRL, IPEDS. 2008 - 2013: As Head, Preservation and Conservation responsibilities included the rare book conservation lab, circulating collections repair, and audio reformatting. Also played a strong role in digital preservation activities and planning related to preservation of collections as they relate to the new offsite storage facility. Other activities included creating and leading the Mentoring Team (past Chair) and numerous other committees. In addition I led an active program of conservation internships and outreach related to the book arts and preservation, as well as maintenance of departmental web pages and subject guides. Supervised 2 FTE professional staff, up to 3 technical, and up to 10 work-study students, and interns. Promoted to "Librarian," Fall 2008. Spring, 2003: Adjunct Faculty / Binder in Residence , Wells College Book Arts Center. Co-taught Bookbinding I and II. Courses focus on developing a strong background in the principles of traditional bookbinding. Covered techniques include pamphlet, concertina, 4-hole Japanese, German (Bradel) case binding, enclosures, and decorated papers. 1999 - 2008: Preservation and Access Librarian for Special Collections Research Center, Syracuse University Library. Responsibilities included: serving as member of senior management team for the Special Collections Research Center ; management of Conservation Lab; conservation of rare materials; digitization and encoding of primary source material; web site maintenance and design; exhibitions curation and preparation; project management. Member of digitization related committees. Have served on promotion committee (1 yr. as Chair) and multiple search committees. Supervised 1 FTE professional staff, up to 2 work-study students, and interns. Promoted to Associate Librarian with "permanent status," Fall 2003. 1998-1999: Archival Product Manager / Staff Conservator, Gaylord Brothers, Syracuse, NY. Position entailed working with manufacturing, purchasing, sales, customer service and marketing operations to manage a multi-million dollar product line. Also monitored the Help Line, a free preservation consulting service. 1995-1998: Conservation Librarian for the Syracuse University Library. Member of Library Web Development Committee and past chair of the Library’s University Relations Committee (LURC). Responsibilities in this 3 year, grant-funded, position included establishment of conservation lab and conservation of Special Collections materials; digitization and encoding of collection finding-aids and primary source materials; design and maintenance of 3 departmental websites. Supervised up to 3 work-study students. 1993-1995: Rare Book Conservator for the Cornell University Library. Supervised 2 FTE. Involved with planning and implementation of conservation component of NEH funded project, and treatment of special collections materials. 1991-1992: Employed as Assistant Conservator in the Yale University Libraries. Worked on items from Yale's special collections and supervised 2 FTE + up to 4 students in paperback stiffening. 1988-1991: Assistant Conservator to William Minter, Chicago, IL. Fall, 1988: Attended 3-month Mellon Internship in rare book conservation at the Folger Shakespeare Library with Frank Mowery. 1988 Assistant Conservator at Midwest Book and Paper Conservation, a division of The Monastery Hill Bindery, Chicago, IL. 1987 - Present: Working as binder and conservator in private practice. Clients have included the National Gallery of Art Library, the Iowa State University Library, Xerox Corporation, the Syracuse University Library, Central New York Library Resource Council as well as private collectors. Work has included all levels of conservation treatments, hands-on workshops, consultancies, and project website development. Fall, 1987: Attended courses in paper conservation and the restoration of leather, vellum, and those bindings which have wooden boards at the Professional School for Book Restorers (Centro del bel Libro) in Ascona, Switzerland. 1985-1987: Formal apprenticeship in the Kunstbuchbinderei Dietmar Klein, Gelsenkirchen, Germany. Final Examination (Gesellenprüfung) completed July, 1987. Fall, 1984: 3-month internship in the bindery of the Germanisches Nationalmuseum, Nuremberg, Germany. 1981-1984: Work-study student in the Department of Conservation and Preservation at the Milton S. Eisenhower Library of The Johns Hopkins University. Editor, Journal of New Librarianship. 2016-17. Reviewed New York State Discretionary grant proposals for conservation treatment. 1993, 2008-2015. Reviewed National Endowment for the Humanities / National Park System administered “Save America’s Treasures” grants, 2004 - 2005. Central Library Resource Council (CLRC) Member, Digitization Committee, 2008-2009. Member, LSTA Digitization Project Committee "Preparing CNY History for the Future" 2001- 2002. Chair, Preservation Committee, 1999 - 2001. Member, Preservation Committee, 1996-2001. Member, planning committee for 5-year Regional Automation Plan, 1999. Published 2nd edition with new introduction of my translation of Der Pressbengel by Ernst Collin (1922) as The Bone Folder: A Dialogue Between An Aesthetically- Inclined Bibliophile And A Well-versed-in-all-aspects-of-the- Craft Bookbinder. Fine press edition by Boss Dog Press with photographs by John (Hans) Schiff, 2017. Answered 3 questions about the project on Jeff Peachey's blog. Downloadable text in signatures for binding and "print-on-demand" edition, see left sidebar here. November, 2015. Translation into Japanese (based on my English edition) published by "Laboratory for Preservation, Conservation, and Restoration." Google translation into English. Serialized publication during 2015. Richard Minsky: Recipient of 2017 GBW Lifetime Achievement Award. The Guild of Book Workers Newsletter, Nr.233, August 2017. “De Springrug” (The Springback) by Karin Cox. Contributed technical diagrams and photographs for an article in Handboekbinden, the journal of the Stichting Handboekbinden in the Netherlands, Vol 8, Number 2, 2015. Stolperstein für Ernst Collin. Meister der Einbandkunst (MDE) Rundbrief, 2014.2. pp 34-35. Open Access: A Model for Sharing Published Conservation Research. Written by Priscilla Anderson, Whitney Baker, Beth Doyle, and Peter Verheyen. AIC News, vol. 39, no. 3. May 1, 2014. pp. 1-6. Edited technical descriptions and front-matter for the exhibition catalog to Limp Bindings from the Vatican Library. Monica Langwe curator. Sollerön, Sweden: Monica Langwe, 2013. Researched and translated passages from historic (primary-source) German binding manuals for Jeffrey S. Peachey's chapter “Beating, Rolling and Pressing: The Compression of Signatures in Bookbinding Prior to Sewing” in Suave Mechanicals: Essays in the History of Bookbinding, Volume 1. Ed. Julia Miller. Ann Arbor: The Legacy Press, 2013. (pp. 316-381). Platten en perkament: Translation by Marlene Hoogeveen of Vellum on Boards for Handboekbinden (Journal of the Stichting Handboekbinden in the Netherlands), Vol 3, 2012. The article first appeared in the Guild of Book Workers Journal, Vol 39 (2004). Bookbinding & Conservation: A Sixty-year Odyssey of Art and Craft by Don Etherington. Review published in Book Arts Arts du Livre Canada, journal of the Canadian Bookbinders and Book Artists Guild, 2010. Republished in an extended version in The Bonefolder, Vol 7, 2011 and Bound & Lettered, Summer 2011. 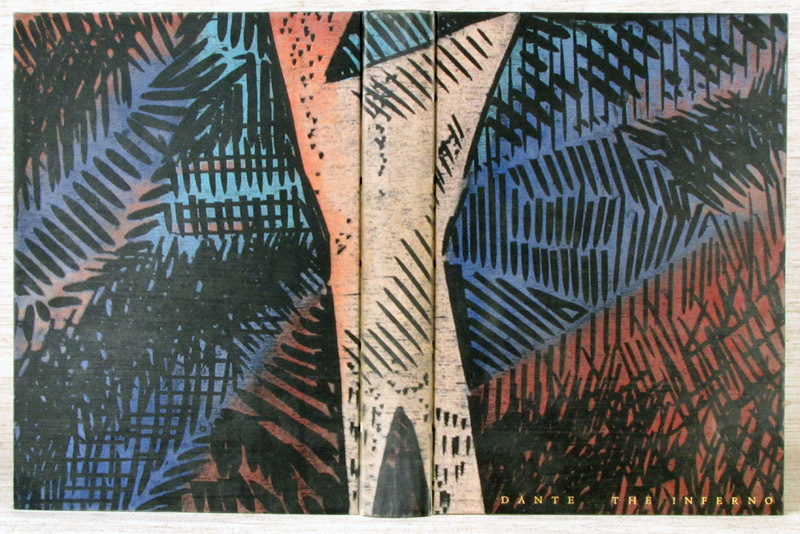 Translation of Der Pressbengel by Ernst Collin (1922) as The Bone Folder: A Dialogue Between An Aesthetically- Inclined Bibliophile And A Well-versed-in-all-aspects-of-the- Craft Bookbinder. The Guild of Book Workers Journal, 2009. For more information including downloadable text in signatures click here. Der Gebrochene Rücken: A variation of the German case binding: This article orginally appeared in a festschrift honoring Hedi Kyle and her work that was published by Rutherford Witthus in conjunction with the Hybrid Book Conference in Philadelphia, June 4-6, 2009.
Review of the postprints to The Changing Book conference held at the University of Iowa in 2006. Postprints contained all (save one) papers given at this significant conference for the history of the book, conservation, and the book arts. Guild of Book Workers Newsletter, December 2008. Member Profiles: Karen Hanmer and Peter Verheyen: Mutual interview between Hanmer and Verheyen on their backgrounds, current work, and the state of book arts. The Guild of Book Workers Newsletter, August 2007. The German Case (Bradel) Binding. A step-by-step description of standard binding structure used in Germany. Skin Deep. Edinburgh: J Hewit. & Sons. Vol. 22, Fall 2006. William Anthony, Fine Binder. A review of the catalog to accompany the exhibition honoring William Anthony. The Guild of Book Workers Newsletter, February, 2006. Republished in The Bonefolder, an e-journal for the Bookbinder and Book Artist, Volume 2, No. 1, Fall 2005. Springback Ledger Bindings: A step-by-step article describing the English style of this binding as demonstrated by Richard Baker at the Guild of Book Workers Standards of Excellence conference in 2003. Published in the Summer 2005 issue of the Guild of Book Workers Journal. Republished in Yapp, newsletter of the Western Australia Book Arts Guild, vol. 19, no. 3, May - June, 2010. Report on the Guild of Book Workers' Friday Forum poster sessions. The Guild of Book Workers Newsletter, December 2003. Report on the Storage of Architectural Materials at the Syracuse University Library: Article is co-authored by Carolyn Davis and Debra Olson, and describes the development of a tube storage system for architectural materials. Published in the 2003 Book and Paper Group Annual of the American Institute of Conservation. Expanded HTML version with addition images added since submission for publication. The Springback: Step-by-step article on binding in the springback account book style. Article is co-authored by Donia Conn. The New Bookbinder: The Journal of Designer Bookbinders, volume 23, 2003. In Memoriam Hugo Peller. The Guild of Book Workers Newsletter, June, 2003. Vellum Over Boards: Step-by-step article on binding in vellum over boards as demonstrated at the Guild of Book Workers Standards of Excellence conference in 2001. Published in the Summer 2004 issue of the Guild of Book Workers Journal. Report on the Guild of Book Workers' Friday Forum poster sessions. The Guild of Book Workers Newsletter, December 2002. Digitized Research Collections: Article for the Syracuse University Library Connection reporting on past digitization projects. The Library Connection reaches an internal and external audience. Spring, 2002. Vellum Over Boards: Announcement and description of the Guild of Book Workers "Standards of Excellence" presentation. The Guild of Book Workers Newsletter, June, 2001 (pg. 5). Study Opportunities. An update of the Guild of Book Workers Study Opportunities List. The Guild of Book Workers Newsletter, February, 2001. 2nd National Book and Paper Arts Biennial. A review of the exhibition organized by the Columbia College Chicago Center for Book and Paper Arts. The Guild of Book Workers Newsletter, October, 2000 (pg. 16). Review of activities on the Guild of Book Workers listserv: The Guild of Book Workers Newsletter, April, 2000 (pg. 3). "Letter to the Editor" (concerning "DB's Millennium Bug" on the role of the organization's foreign membership and future of the organization), Designer Bookbinders Newsletter, No. 106, Spring 1999. Fox, Lisa. Preservation Microfilming: A Guide for Librarians and Archivists, 2nd. ed. A book review published in Rare Books and Manuscripts Librarianship, Vol. 13, no. 1, 1998. Book Arts on the Internet: Study Opportunities: Published in The Guild of Book Workers Newsletter, December, 1997. Preservation on the Web, an introduction to resources available on the Internet published in the December ‘96 / January ‘97 issue of Refermation, the newsletter of the Central Library Resources Council (CLRC) of NY. "Letter to the Editor" in reply to article about bookbinding on the Internet, Designer Bookbinders Newsletter, no. 95, Summer 1996. Also appeared in different form in The Guild of Book Workers Newsletter, June, 1996. Disaster Plan for the Syracuse University Library, Fall 1995. Schleicher, Patty and Mimi. Marbled Designs. A book review published in The Guild of Book Workers Newsletter, December 1994. Revised Disaster Manual for Yale University Library, 1992. Designed and produced exhibition catalog for the Guild of Book Workers' traveling exhibition, Fine Printers Finely Bound, Too. As exhibitions chair, also organized exhibition. 1992-1994. Basic Paper Treatments for Book Conservators: A Review of the Presentation made by Betsy Palmer Eldridge at the 1989 "Standards of Excellence" in Portland, Oregon." This is an expanded version of the GBW Newsletter article. Published in the Guild of Book Workers Journal, Vol. XXIV, 1991. Basic Paper Treatments for Book Conservators: A Review of the Presentation made by Betsy Palmer Eldridge at the 1989 "Standards of Excellence" in Portland, Oregon. Published in two parts in The Guild of Book Workers Newsletter, June and August 1990. "Letter to the Editor" (concerning the Annual Competition), Designer Bookbinders Newsletter, no. 67, July 1989. Report on Workshop with Jan Sobota, GBW Midwest Chapter Newsletter, no. 7, July 1989. Chicago Hand Bookbinders Turn 10, The Guild of Book Workers Newsletter, June, 1989. Chicago Hand Bookbinders Turn 10, GBW Midwest Chapter Newsletter, no. 6, April 1989. The School for Book Restoration in Ascona, Switzerland and Pastepapers, The Deckled Edge (Newsletter of the Baltimore Area Conservation Group), VIII, 1, Spring 1988. Bibliotheca Palatina Exhibition at the University of Heidelberg, The Deckled Edge (Newsletter of the Baltimore Area Conservation Group), VI, 4, Winter 1986. Report on Bookbinding Apprenticeship in Germany, The Deckled Edge (Newsletter of the Baltimore Area Conservation Group), VI, 2, Summer 1986. Experiences at the Germanisches Nationalmuseum, The Deckled Edge (Newsletter of the Baltimore Area Conservation Group), V, 2, Summer 1985. Founder and publisher of The Bonefolder, an e-journal for the bookbinder and book artist. A peer-reviewed journal published semi-annually online only in PDF format. Fall 2004 -2012. Responsibilities included coordinating efforts of editorial board, reviewing and soliciting articles, formatting and online publication of issues. Reviews and similar time-sensitive material are being continued on the Bonefolder Extras blog. The Pressbengel Project: Using Der Pressbengel by Ernst Collin, a 1922 dialogue between a bibliophile and bookbinder, as a starting point for further discussions of the the German bookbinding traditio,n this blog explores German bookbinding traditions over the centuries. 2010 -. Die Collins | The Collins: English and German history and bibliography, 2016. Pragmatism and Compromise in Conservation: A guest editorial published in e-conservation magazine 23 (2012). Articles in new Gaylord Brothers e-Newsletter series. Cover page and direct link to article A Basic Approach to Archival Care, May 2011. Cover page and direct link to article The Storage of Architectural Plans and Other Oversize Materials, November 2011. Challenges to the Online Access of Conservation Literature: This guest post on Jeffrey S. Peachey's blog was in response to queries and laments from parts of the conservation community who are struggling with access to the literature. The post describes some of the issues related to access to serials in libraries including the costs of subscriptions, packaging of titles, rights, and open access. November 15, 2010. Produced online catalog for the Central New York Book Arts. Exhibition dates June 1 - August 17, 2007. Produced online catalog for the The Art of the Book, the Book as Art, (Printmaking 552). Exhibition dates March 26 - May 18, 2007. Produced online catalog for the The Book of Origins: A Survey of American Fine Binding. Exhibition dates January 2007 - February, 2008. Produced online catalog for the Guild of Book Workers 100th Anniversary Exhibition. The exhibition features both a retrospective and a juried exhibition of contemporary works. Exhibition dates September 2006 - November 2007. The Edelpappband, or “Millimeter” Binding. The Bonefolder, an e-journal for the Bookbinder and Book Artist, volume 1, number 2, spring 2005. Book Art 2003: Online catalog to an exhibit of book works by students in the Foundation Program of the School of Art and Design, School of Visual and Performing Arts at Syracuse University. Mounted and curated the exhibit, which was extensively advertised using internet resources. Spring, 2003. SU Book Art: Online catalog to an exhibit of book works by freshman, printmaking, and continuing education students, as well as alums from the School of Art and Design, School of Visual and Performing Arts at Syracuse University. Mounted and curated the exhibit, which was extensively advertised using internet resources. Spring, 2000. Abecedarium: produced online version of catalog for Guild of Book Workers 1998-1999 traveling exhibition. The Illustrated and Published Works of John Vassos: 1927 - 1946: an illustrated bibliography of Vassos’ published works, concentrating on the publishers’ bindings, publication details (where available), as well as published reviews. "Completed" in January, 1997 and currently not available pending revision. The Book as Art: Building a Foundation: This is the online catalog to a bookarts exhibit by students in the Foundation Program of the School of Art and Design, School of Visual and Performing Arts at Syracuse University. Mounted and assisted in curating the exhibit which was extensively advertised using internet resources. Spring, 1996. Index of Internet Resources: an AskERIC Infoguide compiled by Peter Verheyen. Contains information on internet tutorials, search engines, and some K-12 resources. Completed as part of "reference" class. Fall 1995. Created and managed the Guild of Book Workers website, hosted by CoOL (Conservation Online. Summer 1994-2002. Created and manage Book_Arts-L, a listserv for the bookarts. Summer 1994 to present. This also includes the Book Arts Web, an online resource list and exhibition gallery. Summer 1995 to present. 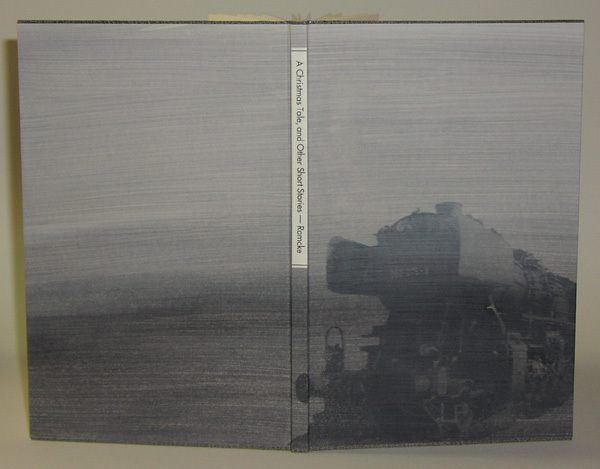 Includes the Book_Arts-L listerv archive hosted by CoOL (Conservation Online. Summer 1994 to present. CNY Book Arts: Traditional to Innovative: produced print and web-based catalog to show of same name. Summer - Fall 2001. Paper Bound: Exhibition catalog for the 1996-1997 Guild of Book Workers Traveling exhibition. Co-designer with Peter Thomas of print version and designer / producer of online version. Designed, produced and bound catalog for the July 1994 solo-exhibition Different By Design: Book Bindings by Peter Verheyen. Editor for exhibition catalog to the 1992-1994 Guild of Book Workers traveling exhibition, Fine Printers Finely Bound, Too. Co-editor, with William Minter, of Chicago Hand Bookbinders 10th Anniversary Exhibition catalog. Responsible for photography and design of catalog binding. Featured on Louise Levergneux's 1/2 Measure Studio Blog. October 7, 2017. As You can Judge a Book by its Cover, participated in Human Library event at Syracuse University Libraries. April 7, 2016. Mentioned in the Canadian Bookbinders and Book Artists Guild journal Book Arts Arts du Livre Canada, Vol. 4, No. 1, 2013. 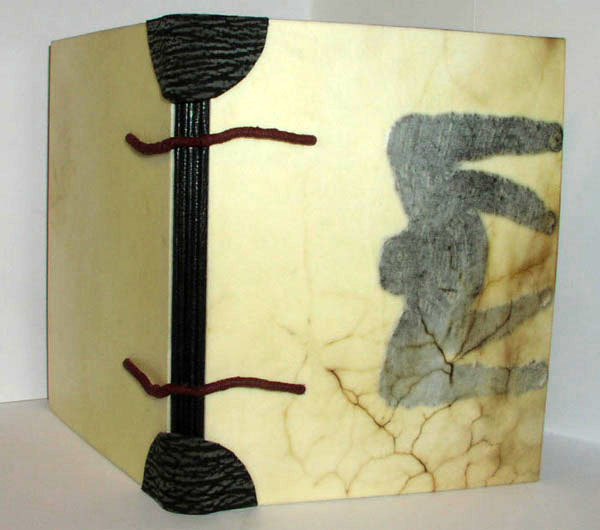 Article entitled "Book Arts on the Web" and resources featured were The Bonefolder and Book Arts Web by Cathryn Miller. Digitization of Yale University Library's 1980 Care and Handling of Books slide/tape show mentioned in "Preservation News" column of College & Research Library News, October 2012. The show can be viewed here. Interviewed for "A Conversation about the Bonefolder with Peter D. Verheyen and Karen Hanmer." The interview was hosted by Miriam Schaer for Susan Mills' for Bookbinding Now, a semi-weekly podcast series. February 15, 2012. Interviewed for Portraits in Preservation on the Library Preservation 2 blog presented by Kevin Driedger of the Library of Michigan. January 12, 2012. Included in 1990s section under Paper of the American Craft Magazine's Timeline for creation of Book_Arts-L listserv in 1994, thereby bringing the book arts online. August/September 2011 issue and online interactive timeline. Interviewed Karen Hanmer for Susan Mills' for Bookbinding Now, a semi-weekly podcast series. July 20, 2011. Interviewed for Taking Care, a column in Family Tree Magazine, July 2011, by Denise Levenick. Spoke about the care and handling of family documents, environment, and storage. Interviewed by bookbinder and book artist Susan Mills for Bookbinding Now, her semi-weekly podcast series. April 13, 2011. Where Book Art and Technology Mingle: An interview by Richard Minsky published in Fine Books and Collections Magazine (Fall 2010). Mentioned in Syracuse University Daily Orange article entitled Beyond the Bookshelves. March 8, 2010. Interviewed about Book_Arts-L, the Book Arts Web, and Bonefolder by Steve Miller of the University of Alabama's MFA in the Book Arts Program for their podcast series. The interview was held during the Hybrid Book Conference at the University of the Arts in Philadelphia, June 5, 2009. Interviewed as part of Daily News-Record (Harrisonburg, VA) article entitled "Book TLC: Bookbinders Give Life To New Works, Revive Old Ones," by Luanne Austin. October 15, 2005. Interviewed for the Society of Bookbinders (UK) Newletter in "A New Mechanism for Our Time (Two)" regarding the Bonefolder, the Book Arts Web, and Book Arts-L. April 2005. Mentioned in Preservation News by Jane Hedberg. C&RL News, February 2005, Vol. 66, No. 2. Mentioned was the first issue of the Bonefolder. Mentioned in Book Arts on the Internet, a review of selected Websites. The Designer Bookbinders Newsletter, Autumn 2004. Discussed were the Book Arts Web and Book_Arts-L. Mentioned in Book arts on the Web: An introduction to selected resources by Cynthia Gregory. C&RL News, April 2004, Vol. 65, No. 4. Listed resources include: The Book Arts Web and selected sub-pages such as "Tutorials" and the Book_Arts-L list and list archive. Interviewed by Syracuse Post-Standard for article on Preserving Memories, October 4, 2001. Interviewed for the "Staff Matters" section of the Syracuse Record in an article entitled "PV keeps SU Library's Books in Good Shape." April 16, 2001. Interviewed for the "Staff Circle" section of the Syracuse University Alumni Magazine in an article entitled "Preserving Special Collections." Spring 2000. Contributor to Traditional and Transformative: Two Approaches to Visual Books which was published in the Journal of the Mid-America Print Council, Summer / Fall, 1996. The article was compiled by Mary Stuart, Associate Professor of Art at Syracuse University. Interviewed for A Slow Burn: In which Cornell’s book doctors fight to save the University Libraries’ collections from self destruction by Hillel Hoffmann. Cornell Magazine: January/February 1996. Lecture to classes and host independent studies at whose foci are the history of the book, use the "book form" to express some idea, or more traditional binding topics including how-to instruction and materials, equipment, etc. Mention on instructor's blog given in response to a presentation. Other topics have included the preservation and conservation of books for book collectors. 1993-2017. Teaching formal and informal bookbinding classes, 1988-. Classes are structured to individual student needs and cover various techniques of traditional binding. Taught semester-long book arts course (Printmaking 552) in Printmaking prgram, School of Visual and Performing arts, Syracuse University. Served as "tutor" for student completing independent study degree in "Book Arts" through Empire State College. A Bookbinder's Journey: An autobiographical presentation about my creative binding work and related projects. Presentation was accompanied by question & answer and viewing of bindings. Syracuse University Libraries Assembly (SULA), July 30, 2018. Presentation video | Presentation Slides. Fundamentals of Preservation: Instructor. Offered by ALA's Association for Library Collections & Technical Services (ALCTS). the Fundamentals of Preservation (FOP) web course is an introduction to the principles, policies and practices of preservation in libraries and archives. It is designed to inform all staff, across divisions and departments and at all levels of responsibility. Provides tools to begin extending the useful life of library collections. Spring 2011-2017. Preserving Digital Collections- An Overview: Session 3 of a three-part of the Library Preservation Today! ALA/ALCTS webinar. March 16, 2016. Revised and updated repeat of webinar from June 18, 2014. Recording available here. Teaching Book Arts at Syracuse University Libraries: "Lightning talk" presented at the Identifying Our Role, Impacts, and Opportunities on our Campus! unconference hosted by the Professional Concerns and Development Committee, Syracuse University Libraries, December 18, 2015. Co-hosted ALCS "e-forum on Sustainable Preservation Programs. A summary of the e-forum can be read here. April 22-23, 2015. Preserving Digital Collections- An Overview: Session 3 of a three-part of the Library Preservation Today! ALA/ALCTS Virtual Preconference. June 18, 2014. Recording (with some audio issues) on ALA/ALCTS YouTube channel. Archival 101: Dealing with Suppliers of Archival Products: This ALA/ALCTS webinar is designed to demystify the archival product terminology and market for the layperson and non-preservation specialist. April 25, 2013. Updated version of that given May 11, 2010. Special Formats, Innovative Preservation Storage Solutions: Expanded version of earlier (2009) presentation that discusses the types of materials; challenges of the materials; storage options; transport and access; other considerations of oversized materials in libraries and archives. The presentation also discussed the tube storage system developed for architectural and other over-sized drawings at Syracuse University Library as a case-study. Presented at Northern New York Library Network's 3rd Annual North Country Archives & Special Collections Conference: Basics & Beyond. April 12, 2012. Accordion Book Making Workshop: Held in conjunction with the Central New York Reads program of the Onondaga County Public Library at their Paine Branch. March 27, 2012. Book Repair Basics for Libraries: This presentation was delivered with Marianne Hanley as an ALA/ALCTS webinar to familiarize viewers with different aspects of circulating collections book repair for school, public, and academic library staff. The webinar shows basic descriptions of techniques using images, and video. September 14, 2011. Archival 101: Dealing with Suppliers of Archival Products: This presentation was delivered to CLRC and is designed to demystify the archival product terminology and market for the layperson and non-preservation specialist. October 15, 2010. Archival 101: Dealing with Suppliers of Archival Products: This ALA/ALCTS webinar is designed to demystify the archival product terminology and market for the layperson and non-preservation specialist. May 11, 2010. Co-hosted ALCTS "e-forum" on Preservation Practices Today: Managing Shrinking Budgets and Changing Formats. The postings from this 2-day discussion can be found in the archives. March 9-10, 2010. Special Formats, Innovative Preservation Storage Solutions: A Presentation to the New York Archives Conference held at LeMoyne College in Syracuse, NY on June 4, 2009. The presentation dealt with the tube storage system developed for architectural and other oversized drawings at Syracuse. See also: Storage of Architectural Materials at the Syracuse University Library. The Preserving of Gifts and Donors: A presentation to the Central New York Library Resource Council (CLRC) & Documentary Heritage Program (DHP) at Fayetteville Free Library, April 15, 2009. The workshop dealt with accepting gifts to collections and the impact of the implications of preservation and conservation concerns with those items. Co-principle in An Alphabet in Your Backyard 2-year project bringing together Foundation students from the College of Visual and Performing Arts at Syracuse and selected local high schools. A different high school will be part of the project each semester. Roles include speaking on the book arts and showing examples of various structures by students and established artists, hands-on instruction, and preparation of materials. Finished works will be exhibited at Syracuse University Library, online, and a published work will be prepared for each school. Fall 2008 - Spring 2010. Lead presenter, with Bradley Shipps, Syracuse University iSchool intern, of 2-part workshop on Lessons for Scanning to members of the Northern NY Library Network. Part 1 focused on “Planning Your Digitization Project” and “Introduction to Scanning.” Part 2 focused on “Metadata, Intermediate Scanning, and More,” also serving as a wrap-up to both parts. Potsdam, NY, September 28 and October 8, 2008. Spoke on the Digital Experience at Syracuse University Library as part of a panel at the New York Archives Conference in Potsdam, NY, May 28, 2008. Practice Creating Digital Collections: Part of the "Ready, Set, Digitize" workshop series hosted by CLRC and SCLRC. Cortland, NY, November 12, 2007. The workshop walked attendees through the processes of scanning and manipulating metadata. A Day with "Master" Bookbinder Peter D. Verheyen: Historic endband workshop and lecture on training and professional path presented to the Cornell University Book Arts Club. Audio (63 MB, 66min, MP3) of the lecture as well as PDF slides (4.5 MB PDF) are available from Cornell's eCommons. October 11, 2007. Planning for and Managing Digital Projects: Part of the "Ready, Set, Digitize" workshop series hosted by CLRC and SCLRC. Cortland, NY, September 10, 2007. Resource list of helpful publications and other resources. Taught semester-long book arts course (Printmaking 552) in the Printmaking Department of the School of Art and Design, College of Visual and Performing Arts at Syracuse University. Spring 2007. Copyright Law and Digitization: guidelines for a successful project: Spoke on special collections digitization projects at Syracuse University Library and issues related to their development. The event was hosted by CLRC at the Fayetteville Free Library, January 24, 2007. Spoke with Nicolette Schneider on special collections digitization projects at Syracuse University Library and issues related to their development. The Digitization Expo and Vendor Showcase was organized by the Western New York Library Resource Council. May 24, 2006. Setting Preservation Priorities: A how-to workshop sponsored by CLRC. Participant in "preservation priorities panel discussion" and presenter of afternoon workshop on "dealing with archival suppliers." Spoke about and answered questions concerning selecting the most appropriate materials to house your collections, different storage options, terminology found in various catalogs, and how to get the best deal from vendors. Workshop held at Liverpool Public Library, March 21, 2006. Presented 2-day workshop on "Variations on the German Case Binding" which included the "Millimeter/Edelpappband" at the Garage Annex School for Book Arts, Easthampton, MA. April 17-18, 2004. Co-presented (With Donia Conn) poster on historic endbands at the "Friday Forum," the Guild of Book Workers' "Standards of Excellence" seminar, Denver, CO. October, 2003. Presented 2-day "Springback Binding" and evening "Historic Endbands" workshop at the Minnesota Center for Book Arts. September 6-8, 2003. Presented 2-day workshop on the "Springback Binding" to the New England Chapter of the Guild of Book Workers at the Garage Annex School for Book Arts. May 3-4, 2003. Presented 2-day "Vellum Over Boards" and evening "Historic Endbands" workshops at The San Francisco Center for the Book. Also spoke to Hand Bookbinders of California on the "springback binding." March 1-4, 2003. Co-presented (With Donia Conn) poster on springback binding at the "Friday Forum," the Guild of Book Workers' "Standards of Excellence" seminar, Minneapolis, MN. September, 2002. Disaster Planning, a workshop on disaster preparedness and planning presented to the Central New York Library Resources Council Regional Preservation Needs Assessment Project. April 25, 2002. Vellum Over Boards: Hands-on demonstration on binding in vellum presented to four sessions at the Guild of Book Workers' Standards of Excellence conference. Alexandria, VA. October 5-6, 2001. Also presented poster on same subject. Presentation reviewed in the Guild of Book Workers Newsletter, February, 2002. Bookbinding: A Thriving Craft? Lecture to the Syracuse University Library Associates. March 1, 2001. Panelist on discussion concerning training and education for bookbinders and conservators at Guild of Book Workers, New England Chapter meeting. Hanover, NH. January, 2001. Taught 7 week basic bookbinding class in Syracuse University's Humanistic Studies Program, Spring 2000. Dealing with Archival Suppliers: archival basics, choosing the right materials, what does it all mean, getting the best price. A workshop presented by the CLRC Preservation Committee and Documentary Heritage Program. December, 1999 and June, 2000. Historic Endbands: A hands-on workshop in which participants learned 8 historical endband styles and variations. Held at Columbia College Chicago Center for Book and Paper Arts. June 5, 1999. <EAD> Implementation: A presentation dealing with issues relating to starting the EAD implementation process and including why, or why not, we should implement, what benefits and risks will there be, computing infrastructure, staffing, and distribution of finding aids. Presented at the 1999 MARAC Conference. May 5, 1999. Getting us out / Bringing us together: How listservs and the Web have changed the way in which book artists work and communicate. Presented at "Hot Type in a Cold World," a symposium celebrating the 25th anniversary of the Silver Buckle Press at the University of Wisconsin, Madison. November 20, 1998. Disaster Planning, a workshop on disaster preparedness and planning presented to the Documentary Heritage Program / CLRC. First presented June 2, 1998. Presentation on SGML and various text and meta-data encoding initiatives to Digital Libraries Seminar at the School of Information Studies, Syracuse University. Spring, 1998. Presentation on the EAD at the Lake Ontario Archives Conference (LOAC) in Fredonia, NY, with Tom Ruller of the NY State Archives. Spoke about issues and concerns related to implementation of the EAD, especially for smaller institutions. June 14, 1997. Lectured on library disasters: planning and dealing with them. Western New York Conservation Guild, Buffalo, NY. Oct 9, 1993. Lectured on becoming a bookbinder / conservator, based on my training in this country and abroad. Kroch Library, Cornell University. March 19, 1993. Presented workshop on pastepapers at the Creative Arts Workshop in New Haven, CT, October 19, 1991. Presented joint workshop with Mrs. Heinke Pensky-Adam on historical endbands which was held at the Artists Book Works in Chicago on July 9, 1988. Organized Syracuse University Libraries' unconference on the theme of "Identifying Our Role, Impacts, and Opportunities on our Campus!" Hosted by the Professional Concerns and Development Committee, December 18, 2015. Coordinated and managed Brodsky Endowment for the Advancement of Library Conservation. The series brought noted speakers and workshop presenters to the Syracuse University Library. 2005 - 2012. Co-curated Dawn of New Age: The Immigrant Contribution to the Arts in America. The exhibit introduces five artists who arrived from Europe during the first half of the twentieth century. All were prominent in their respective fields, and each of them created a dynamic vision for a new America. An article about the exhibition was included in the January 14 issue of the Daily Orange. Fall 2008. Organized Guild of Book Workers 100th Anniversary Exhibition. Responsibilities included complete planning and organization, securing of venues, curation of retrospective exhibition, development of online entry process for juried exhibition, securing internal and external funds ($25,000 target, $29,000 achieved), receiving and registering entries, coordinating catalog production with photographers and designers, marketing/advertising, and production of online catalog to accompany print version. Coordinated "Friday Forum" of poster displays by attendees of the Guild of Book Workers' "Standards of Excellence" seminar, Portland, OR, 2005. Coordinated "Friday Forum" of poster displays by attendees of the Guild of Book Workers' "Standards of Excellence" seminar, Providence, RI, 2004. Co-presented posters on Spring[binding] Hath Sprung, a springback binding exhibition and the debut of The Bonefolder, an e-journal for the bookbinder and book artist. Coordinated "Friday Forum" of poster displays by attendees of the Guild of Book Workers' "Standards of Excellence" seminar, Denver, CO, 2003. Co-presented poster on historic endbands with Donia Conn. Coordinated "Friday Forum" of poster displays by attendees of the Guild of Book Workers' "Standards of Excellence" seminar, Minneapolis, MN, 2002. Co-presented poster on springback binding with Donia Conn. Organized and co-ordinated 2001 CNY Book Arts: Traditional to Innovative. Responsible for raising $3500 in form of foundation grants and gifts, as well as producing of fully illustrated catalog to accompany the exhibition. Curated and mounted exhibition of student work from various book arts related Foundation Program classes at the College of Visual and Performing Arts, Syracuse University. Spring 1996,1998, and 2000. Organized and coordinated 1996-1997 Guild of Book Workers Traveling exhibition, Paper Bound. Co-designer with Peter Thomas of print version and designer / producer of online version. Organized a university-wide preservation awareness poster contest whose subject was the dangers posed by food and drink in the library. Resulted in the printing of posters, postcards, and bookmarks. Fall 1993. Organized the Cornell University Library’s (in conjunction with the Library Public Affairs Department) display booth at Reunion Weekend. Featured were the activities of the Department of Preservation and Conservation. June 4-5, 1993. Organized and coordinated 1992-1994 Guild of Book Workers traveling exhibition, Fine Printers Finely Bound, Too. Designed and produced exhibition catalog. Organized and promoted talk by Jan Sobota to Chicago Hand Bookbinders at Artists Book Works, August 11th, 1989. Fundamentals of Collection Assessment. An ALA/ALCTS online course. October 1 – November 9, 2018. Society of American Archivists DAS courses. March 11-14, 2014. Implementing Online Teaching and Learning: Using Moodle and Other Web 2.0 Features. An ALA/ALCTS online course. September 10 - October 5, 2012. American Institute of Conservation (AIC ): Ethos, Logos, Pathos: Ethical Principles and Critical Thinking in Conservation, Philadelphia, PA • May 31 - June 1, 2011. The Hybrid Book – Intersection and Intermedia: Brought together established and emerging artists, scholars, librarians and educators to explore a variety of topics in a series of eight panels.Panels included Book Arts in Academia, Book Arts in the Social Sphere, the Future of Letterpress, Intersection and Intermedia, Modes of Production, Offset Applications, The Reciprocity of Books and Digital Media, and Text and the Hybrid Book. University of the Arts, Phildelphia, PA, June 4-6, 2009. Standards of Excellence. Annual seminar of the Guild of Book Workers. Features presentations on advanced binding and conservation techniques. Attended: 1989 - 1995, 1998 - 2005, 2011.
iPres Conference on the Preservation of Digital Objects: The theme of the conference was Words to Deeds: Collaboration in the Realm of Digital Preservation. Cornell University, October 8-10, 2006. New York State Higher Education Initiative Annual Meeting. Focus on digital preservation. New York, NY. June 5, 2006. Making Sense of Metadata: Workshop provided an overview of metadata concepts and examples of practical applications such as cross-walking. NYLINK, Albany, NY. September 22, 2005. 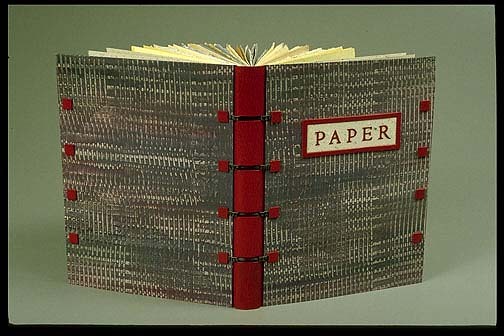 Artists' Books Online: Working group meeting in Charlottesville, VA. The project, led by Johanna Drucker, is a developing a DTD which will provide enhanced access to artists' book collections. June 6-7, 2005. As a member of the Work Group/Advisory Board I continue to provide input to the project. Emerging Technologies 2004, a workshop with Roy Tennant, California Digital Library, hosted by CLRC. September 20, 2004. Digital Preservation Management, a workshop offered by the Cornell University Library. August 3 - 8, 2003. Full Metal Binding, taught by Daniel Kelm. Garage Annex School, Easthampton, MA, October 19-20, 2002. Managing the Past, taught by Nicolas Barker. Rare Book School, Charlottesville, VA, July 28 - August 2, 2002. Redefining Preservation, Shaping New Solutions, Forging New Partnerships. Co-sponsored by the University of Michigan Library and the Association of Research Libraries. March 7 - 8, 2002. Planning for Digitization: Everything you need to know but didn't realize that you needed to know. Presented to CLRC by Liz Bishoff, Project Director, Colorado Digitization Project. March 1, 2002. Preservation Techniques for Paper Based Collections. Workshop on surface cleaning techniques presented by Elizabeth Morris. SUNY College of Environmental Science and Forestry, Syracuse, NY. March 1, 2001. "Digitizing Two Projects," workshop on the digitization of full text and images from primary sources. Held at, and presented by, Mid-York Library System. December 13, 2000. Training for field trial of newly developed "Climate Notebook" preservation management technology for environmental monitoring. Image Permanence Institute, Rochester, NY. November 27-28, 2000. Attended Bookbinding 2000: A celebration of Bernard C. Middleton. Conference featured presentations of high-level binding and conservation techniques as well as lectures relating to the history of the book, binders, and preservation. Rochester Institute of Technology. June 1-3, 2000. Digital Imaging for Libraries and Archives, a workshop presented by Anne Kenney and Oya Rieger, Department of Preservation and Conservation, Cornell University Library. July 13-18, 1997. FAST workshop sponsored by RLG on digitally encoding archival finding aids in SGML (EAD). Responsible for technical details (hardware/software) and adaptation of the EAD.DTD to WordPerfect SGML editor. August 12-13, 1996. Intensive one-week workshop on "polarized light microscopy", taught by Professor Walter McCrone of the McCrone Research Institute, at Cornell University. August 2-6, 1993. Workshop with Jan Sobota on working in relief at GBW Midwest Chapter Meeting, June 18, 1989. Juror for the Guild of Book Workers' 2009 – 2011 traveling exhibiton entitled Marking Time. Spring 2009. Principle author and coordinator for $4000 CLRC Regional Automation Grant to digitize 1500 negatives from the Clara Sipprell Collection, a selection from this 13,000+ image collection of works by this significant American photographer of the early to mid-20th century. This is a continuation of the 2008 project. 2009-2010. Principle author and coordinator for $5280 CLRC Regional Automation Grant to digitize 2270 negatives from the Clara Sipprell Collection, a selection from this 13,000+ image collection of works by this significant American photographer of the early to mid-20th century. Other aspects included the (re)processing and rehousing of the collection by interns. 2008. Principle author and coordinator of $4,500 CLRC Regional Automation Grant to develop search and retrieval system for EAD inventories at Syracuse University Library and fund further encoding of inventories. Principle author and coordinator of $18,000 CLRC Regional Automation Grant to digitize 668 original sketches by architect Marcel Breuer. This grant provided networked access to the images with enhanced metadata in a searchable database format and has since been integrated into the Marcel Breuer Digital Archive. The grant was awarded in December 2004 with partial funding. Principle author and coordinator of $3,000 CLRC Regional Automation Grant to digitize the 1412 Charles Eisenmann photographs of circus sideshow performers. This grant provided networked access to over 1200 19th century cartes de visite and cabinet cards with enhanced metadata in a searchable database format. The grant was awarded in December 2003 with partial funding. Developed tube-based storage system for architectural and other oversized materials. Pilot system for 228 tubes constructed in 2001/02. Second phase for an additional 877 units constructed during the spring of 2003. An article appeared in the AIC Book and Paper Group Annual, 2003. 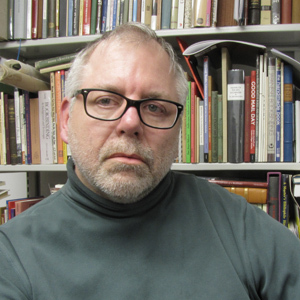 Principle author and coordinator of $10,000 CLRC Regional Automation Grant to digitize the Gerrit Smith Broadside Collection at the Syracuse University Library. This grant will digitize and provide full text access to over 2500 pages of writings by Gerrit Smith on abolitionism, suffrage, temperance, and other social issues. The grant was fully funded, and awarded December 2001. The project was completed in January of 2003. Co-juror with Richard Minsky, founder of the Center for Book Arts in New York City, of Bright Hill Press's first juried national book arts exhibit. Works were selected on basis of conceptual, aesthetic, and craft aspects. September 2, 2002. As chair of CLRC Preservation Committee, instrumental in development of grant proposal for Central New York Library Resources Council Regional Preservation Needs Assessment Project. Awarded Summer 2001. Coordinated CLRC Regional Automation Grant to digitize materials from the Syracuse University Library’s Erie Railroad glass plate negative collection. Responsibilities included benchmarking, setting scanning parameters, HTML tagging and project site creation. Fall 2000 - Spring 2001. Coordinated CLRC Regional Automation Grant to digitize selected materials from the Syracuse University Library’s Oneida Community and Street & Smith Publishers collections. Responsibilities included benchmarking, setting scanning parameters, OCR, HTML tagging and project site creation. Worked with outside vendor for digital imaging of Street & Smith Materials. Fall 1999- Spring 2000. Developed CLRC Region Digital Projects website for the Central NY Library Resource Council. Work included conversion of collection inventories into HTML from a variety of formats, digital imaging, and overall website design. Summer-Fall 1999. Coordinated CLRC Regional Automation Grant to digitize selected materials from Syracuse University Library's Oneida Community Collection with the Systems Office. Included benchmarking, setting scanning parameters, HTML tagging and project site creation. Spring 1998. Internship at ERIC/IT developing a DTD for the GEM (Gateway to Educational Materials) project. Project would collect and harvest metadata for K-12 lesson plans which are available on the Internet. The DTD is based on elements created for the Dublin Core Metadata Element Set. Spring 1997. Conducted site visits, consultancies and workshops on a variety of subjects for libraries in the Four County Library System, a part of the SCRLC, and for the Syracuse University Library. Summer 1994-. Reviewed New York State Discretionary grant proposals for conservation treatment. Spring, 1993. Involved in "Action Planning" process at Yale University resulting in establishment (among others) of book repair program for general collections materials. 1992. For descriptions and images of these and other bindings created see Peter Verheyen - Bookworks. Exhibited is Remembering Jan Sobota. Exhibited was Remembering Jan Sobota. Exhibited were The Raven and Pan. 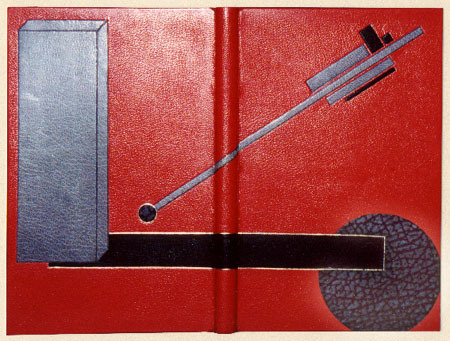 Contemporary Bindings of Private Press Books: An Exhibition of Designer Bookbinders. St Bride Foundation, London, UK; Houghton Library, Harvard University, Cambridge, MA; Minnesota Centre for Book Arts, Minneapolis, MN; Bonhams, New York, NY; San Francisco Centre for the Book, San Francisco, CA. Exhibited was Mayflies of the Driftless Region. The binding was mentioned and depicted in The Economist and Parenthesis, journal of the Fine Press Book Association. Carré d'Art Bibliothèque, Nîmes, France. Dalarnas Museum, Falun, Sweden, Swedish Institute of Classical Studies, Rome, Italy, Sankta Eugenia Katolska Församling Stockholm, Sweden. Exhibited was an interpretation of a 1579 ledger from the Vatican Library. Wallace L. Anderson Gallery, Bridgewater State University, Bridgewater, MA. The Chicago Public Library, Chicago, IL. Exhibited was The Crucible, selected runner up in category. DeGolyer Library, Southern Methodist University, Dallas and the Museum of Printing History in Houston, TX. May 15, 2009 -March 20, 2011. Minnesota Center for Book Arts, Minneapolis, MN; San Francisco Public Library; San Francisco, CA; University of Washington Seattle Library, Seattle, WA; University of Utah Marriott Library, Salt Lake City, UT; Denver Public Library, Denver, CO; Public Library of Cincinnati and Hamilton County, Cincinnati, OH; Skillman Library, Lafayette College, Easton, PA; Dartmouth College Library, Hanover, NH; Emory University Library, Atlanta, GA.
Ann Arbor District Library, Ann Arbor, MI. Exhibited were The Book of Origins and The Guild of Book Workers' 100th Anniversary Exhibition Catalog. January 2007 - February 2008. Syracuse University Library, Syracuse, NY; Michigan State University Library, East Lansing, MI; Public Library of Cincinnati and Hamilton County, Cincinnati, OH; UAA/APU Consortium Library, University of Alaska, Anchorage; Minnesota Center for Book Arts, Minneapolis, MN; Columbia College Chicago Center for Book and Paper Arts, Chicago, IL. Exhibited were The Book of Origins and Teach me, Star of Night. September 2006 - November 2007. The Grolier Club, New York, NY; Michigan State University Library, East Lansing, MI; University of Utah, Salt Lake City, UT; Portland State University Library, Portland, OR; The Bridwell Library, Southern Methodist University, Dallas, TX; Dartmouth College Library, Hanover, NH. Exhibited was Noirs, Bleus, Sables. A traveling exhibition of the Chicago Hand Bookbinders. Venues were the Golda Meir Library, the University of Wisconsin (Milwaukee); Northwestern University Library; Joan Flasch Artists' Book Collection, John M. Flaxman Library, School of the Art Institute Chicago. Exhibited were: Rules for Bookbinders and Centro del bel Libro Ascona. The Book of Origins, by André Ricard. Fall, 2005 - Spring 2006. A set book design binding exhibition organized by Les Amis de la Reliure d'Art Canada in collaboration with the Bibliothèque Gabrielle Roy, Ville de Quebec, Canada and the Muséum National d'Histoire Naturelle, Paris, France. Exhibited wasThe Book of Origins. September 21 - November 27, 2005. A set book design binding exhibition organized by Les Amis de la Reliure d'Art Canada in collaboration with the Ramezay Museum, Montreal, Canada. Exhibited was Saturday Night, 1953 / The Elements. Les Amis de la Reliure d'Art. Galerie des Hospices, Limoges, France. The New England Chapter of the Guild of Book Workers. Exhibited were John DePol: A Catalogue Raisonné 1935 -1998 and Saturday Night, 1953 / The Elements. Kunst Centret Silkeborg Bad / Art Center Silkeborg Bad, Silkeborg, Denmark. Exhibited was Twenty-six Words (full vellum with leather onlays). Thomas Goldwasser Rare Books, San Francisco, CA. 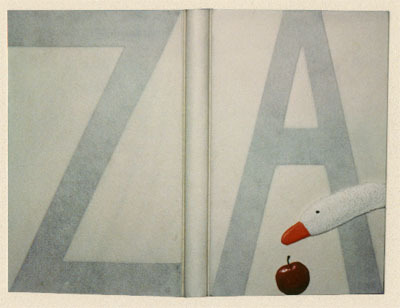 Exhibited is John DePol: A Catalogue Raisonné 1935 -1998 and A Christmas Tale, and Other Short Stories. Venues include Baytums of Bath, Oxfordshire County Museum, National Library of Wales. Exhibited was Saturday Night, 1953 / The Elements. The book was awarded the "Harmatan Leather Award for Forwarding" in the "cased binding" category. Exhibited is RHM (Robert Hunter Middleton), The Man and his Letters. Work is being shown as part of the retrospective aspect of the exhibition, representing work exhibited with Chicago Hand Bookbinders by past members. November, 2002 - January, 2003. San Francisco Public Library, Main Library, San Franciso, CA. Exhibited is Animals That Should Exist But Never Have. Venues include Binney & Smith Gallery, Bethlehem, PA; Artists Image Resource, Pittsburgh, PA; Spaces Gallery, Cleveland, OH; Museo de Arte Y Diseño Contemporáneo, San José, Costa Rica. Exhibited was Twenty-six Words (Television book/box structure). Thomas Goldwasser Rare Books, San Francisco, CA. Exhibited was Twenty-six Words. Schweinfurth Memorial Art Center, Auburn, NY. Exhibited was Heaven on Earth, and Teach me, Star of Night. Represented in traveling exhibition of the work of Thorsten Dennerline. Sala El Farol, Universidad de Valparaíso, Valparaíso, Chile, and Galleri Torso, Odense, Denmark. Exhibited was one copy of Twenty-six Words. October 2000 - June 2002. University of Utah, Salt Lake City, UT; Syracuse University Library, Syracuse, NY; Ohio University Library, Athens, OH; Columbia College Chicago Center for Book & Paper Arts, Chicago, IL; Smith College Library, Northampton, MA; Swarthmore College Library, Swarthmore, PA; San Diego State University Library, San Diego, CA; San Francisco Public Library, San Francisco, CA; Conservation Online (CoOL) virtual host site. Exhibited is one copy of of Twenty-six Words by Thorsten Dennerline / Bird Press. Utica College Library. Utica, NY. Columbia College Chicago / Center for Book and Arts. Chicago, IL. Exhibited are two copies of Twenty-six Words by Thorsten Dennerline / Bird Press. Cooperstown Art Association. Cooperstown, NY. Exhibited were three design bindings and the edition binding of Twenty-six Words by Thorsten Dennerline / Bird Press. Exhibited were the edition bindings to Twenty-six Words and Real Things People Said,... by Thorsten Dennerline / Bird Press. Botanical Research Institute of Texas, Fort Worth, TX; Museum of Printing History, Houston, TX; Perry-Castañeda Library, Austin, TX. Set book exhibition of John Muir's Heaven on Earth: Explorations into the Wilderness published by Randolph Bertin at his Press Intermezzo with original illustrations by Charles D. Jones. Turning up the Page, Artists books of the 90’s. University of Missouri-Kansas City Gallery of Art. 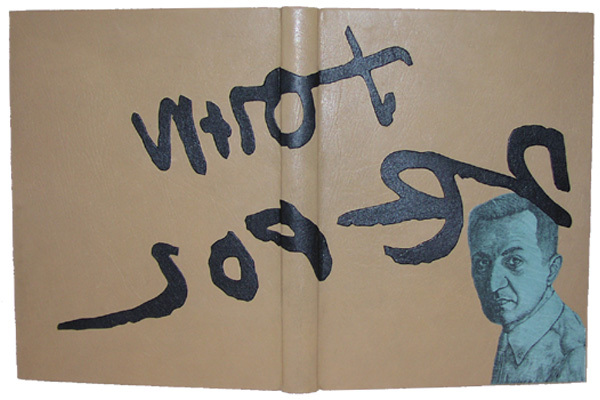 Exhibited was design binding of Twenty-six Words by Thorsten Dennerline. The Guild of Book Workers. October 1998 - December 1999. Greensboro Public Library, Greensboro, NC; Bienes Center for Literary Arts, Broward County Library, Ft. Lauderdale, FL; Newberry Library, Chicago, IL; Ohio University Library, Athens, OH; Denver Public Library, Denver, CO; Denison Library, Scripps College, Claremont, CA; Conservation Online (CoOL) virtual host site. Thematic exhibition celebrating the alphabet. Exhibited is Twenty-six Words by Thorsten Dennerline. The complete book can be viewed here. September 1996 - September 1997. Scripps College, Claremont, CA; The University of Rochester, Rochester, NY; Columbia College Chicago Center for Book and Paper Arts, Chicago, IL; Smith College Northampton, MA; Ohio University, Athens, OH; Conservation Online (CoOL) virtual host site. Set-book exhibition of Peter and Donna Thomas’ book Paper, A Collection of Handmade Paper Samples from the United States of America. Created Space: An Exhibit of the New England Chapter of the Guild of Book Workers. John Hay Library, Brown University, Providence, RI; Syracuse University Library, Department of Special Collections, Syracuse, NY; Albert M. Greenfield Library, University of the Arts, Philadelphia, PA. Exhibited were 2 copies of Fine Printers Finely Bound, Too [binder's copy], [commissioned copy] and Juvenal’s Fifth Satire. Different By Design: Book Bindings by Peter Verheyen. Gallery Julius of the Schweinfurth Arts Center, Auburn, NY. Exhibited were 20 previously exhibited and several newly created bindings. Solo exhibition of recent works. 50 x 25: The work of the Rarach Press. Bridwell Library, Southern Methodist University, Dallas, TX. September 1993 - January 1994. 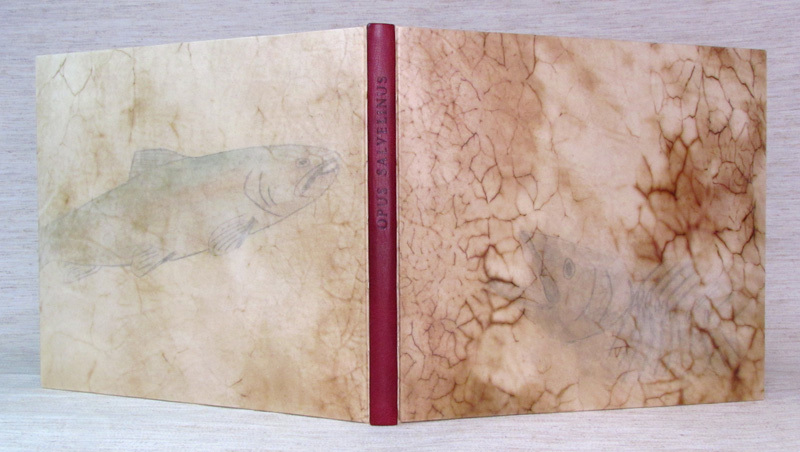 Exhibited were 2 copies of Opus Salvelinus. State of the Art Gallery, 4th Annual Juried Photography Show. Fine Printers Finely Bound, Too. October 1992 - March 1994. Explore Print!, San Francisco, CA; Scripps College, Claremont, CA; Dallas Public Library, Dallas, TX; Minnesota Center for the Book Arts, Minneapolis, MN; The Newberry Library, Chicago, IL; University of Michigan, Ann Arbor, MI; Swarthmore College, Swarthmore, PA; Cornell University Library, Ithaca, NY. Exhibited were A Fowl Letter Book and Juvenal’s Fifth Satire. Creative Arts Workshop, Annual Student Exhibition. Exhibited were two collages and one photograph. GBW New England Chapter 10th Anniversary Exhibition. Museum of Our National Heritage, Lexington, MA; Round Top Center for the Arts, Damariscotta, ME. Exhibited was A Letter and Some Photographs. Ohio State University, Columbus, OH; Moellering Library, Valparaiso, IN; Western Michigan State University, Kalamazoo, MI; Indiana University, Bloomington, IN. Exhibited was Juvenal’s Fifth Satire. The Grolier Club / The Guild of Book Workers. October 1990 - June 1991. Bibliotheque de l’Arsenal, Paris, France; Bibliotheca Wittockiana, Brussels, Belgium; Grolier Club, New York. Freiberger Library, Case Western Reserve University, Cleveland, OH. Exhibited were Dante’s Inferno and RHM (Robert Hunter Middleton), The Man and his Letters, and one original pastepaper. Chicago Hand Bookbinders 10th Anniversary Show. Reyerson and Burnham Library of the Art Institute, Chicago, IL. ; Northwestern University Library, Evanston, IL. ; Brigham Young University Library, Provo, UT. 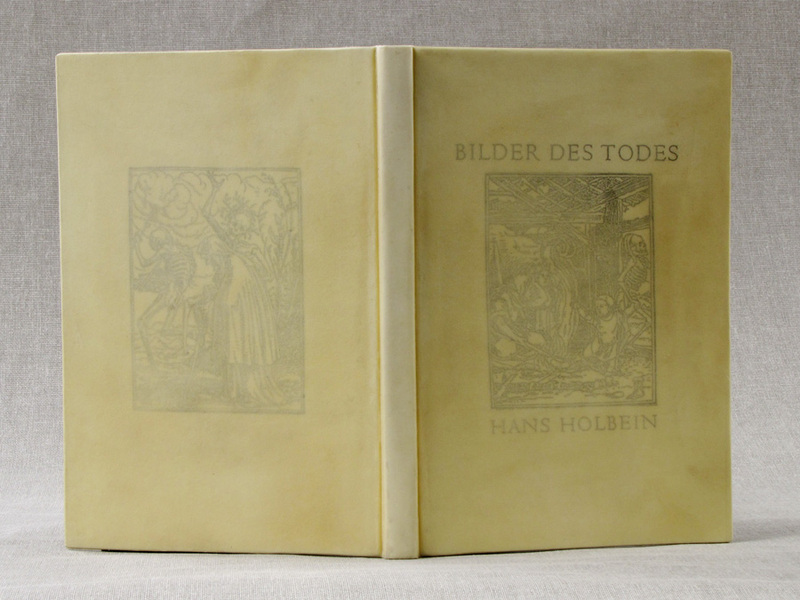 Exhibited was Hans Holbein, Bilder des Todes. Newberry Library, Chicago, IL, GBW Standards Seminar and the Caxton Club in Chicago. Exhibited were RHM (Robert Hunter Middleton), The Man and his Letters and 2 original pastepapers.